STEVENSON, C.M. ; RAMIREZ, J.M. ; MORIN, F.J.; BARBACCI, N., eds. VI Congress Internacional sobre Rapa Nui y el Pacífico, Reñaca, Viña del Mar, Chile, 21-25 September 2004. 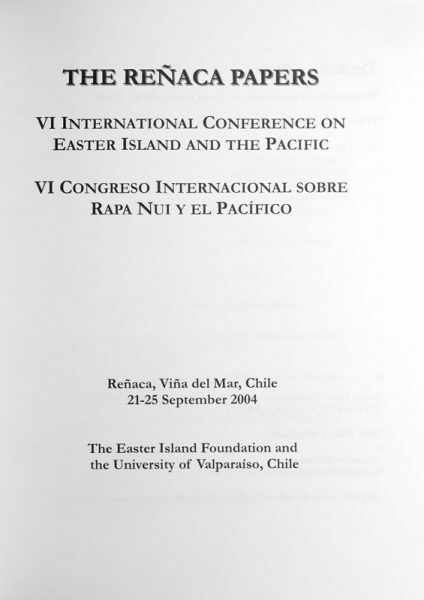 Los Osos, CA : Easter Island Foundation ; Chile : Universidad de Valparaíso, 2005. 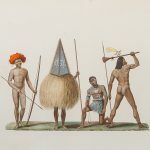 Quarto, illustrated wrappers, 534 pp, illustrated with line drawings and b/w photographic plates. Fine. 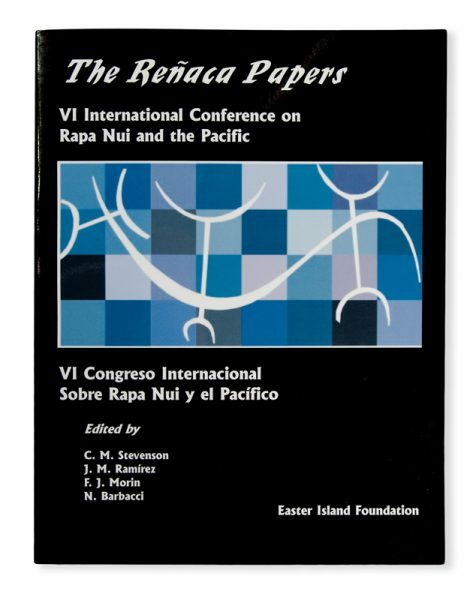 This important publication presents over fifty symposium papers, many dealing with the archaeology and culture of Rapa Nui, some addressing broader contemporary issues such as the human impact on paleoenvironments in the Pacific and language death in Polynesian cultures. Five copies recorded in Australian collections (Australian National University Library; National Library of Australia; University of Adelaide Library; University of Queensland Library; University of Melbourne Library).